I love birthdays. I get giddy waiting for 12 midnight just to greet my favorite people. And I want to be the first one to greet them. Yes, I could be competitive with those things too. (I also want to be the last one to greet them [again] just because I like to pester the people I love.) And birthdays are always best celebrated with people dear to you. 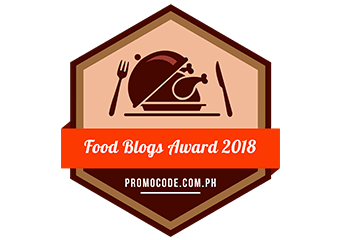 Okay, I kind of forced myself to be dear to Lil R.
It was one (failed) tea afternoon when my favorite Dragon lady (T), Lil R, Big R and I decided to explore the new restaurants of SM Megamall’s Fashion Hall. We originally planned to visit Ippudo but I think Ippudo hates me. Every time I plan to visit, the line looks like Nokia’s Snake that has been played for 10 hours. 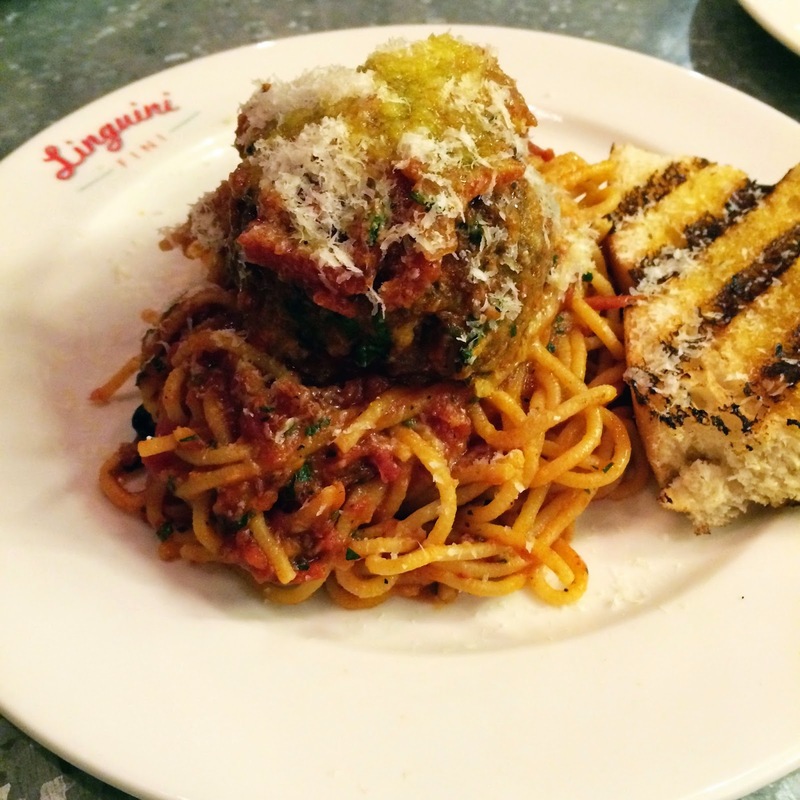 We roamed around for a bit and saw Linguini Fini, a new Italian restaurant near Boqueria (which is now Alqueria). The place looks cozy. So, why not? It took us quite a bit to decide on what to order but finally decided to get Porchetta (PHP595, served sliced and with chili mostarda), Bianco (PHP745), On Top of Spaghetti (PHP425), and Pappardelle “Nose to Tail Bolo” (PHP430). First served was the Pappardelle “Nose to Tail Bolo” and it doesn’t look pretty. But the taste says otherwise. 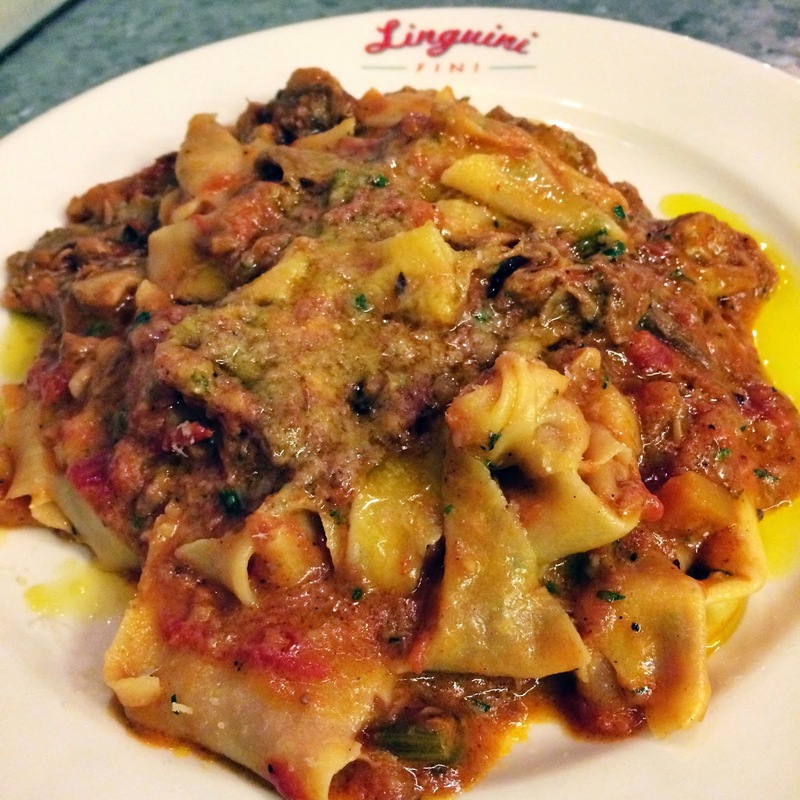 The bouncy pasta with the pork testa, veal and oxtail ragu were savory and delightful. T though found a bone on her portion. 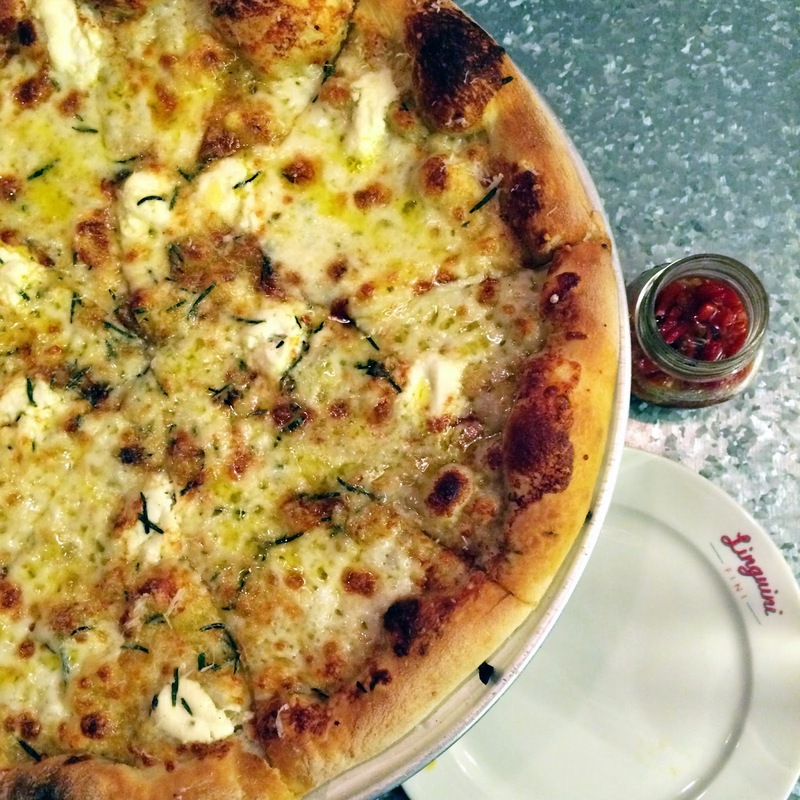 The Bianco is your usual cheese pizza. I only had one slice as it was oily. (Sadly, my tummy reacts funny to oily food after two weeks of Alkaline diet.) Cheese lovers would love this though as the pizza had a generous serving of mozzarella, gorgonzola, ricotta, Parmigiano, and Grana Padano. The On Top of Spaghetti was the idea of the two Rs. They claim that the meatball talked to them. Anyway, it was indeed pretty good. The meatball was savory and juicy. However, I still think that it is just a typical spaghetti dish with a huge meatball on top. 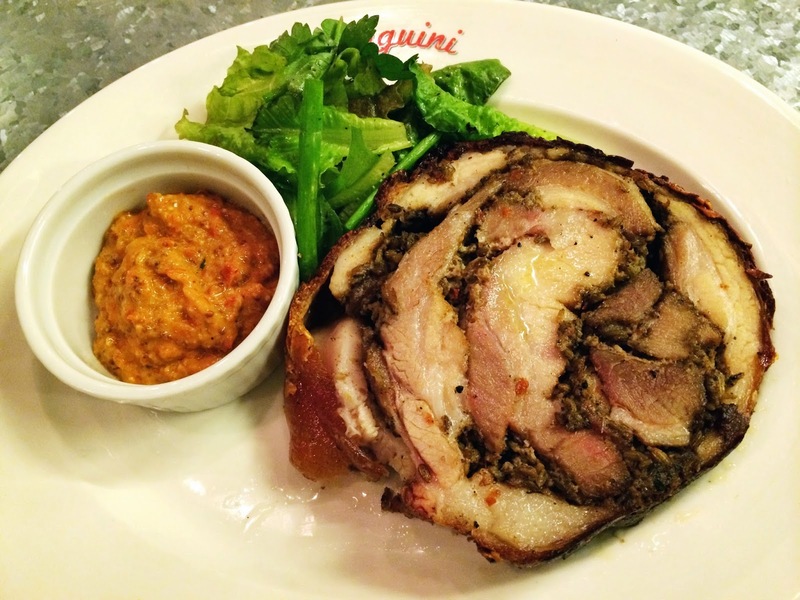 Now for the highlight of the night… Porchetta. It didn’t really stand out when I had a piece. I preferred the pappardelle. Yes, it was pretty good but I had better porchetta elsewhere. While munching on my piece, I drooled over Black Olive’s version. Well, the dragons and the tiger (Gluttonshopper note: the year they were born) didn’t react so I guess they liked it. 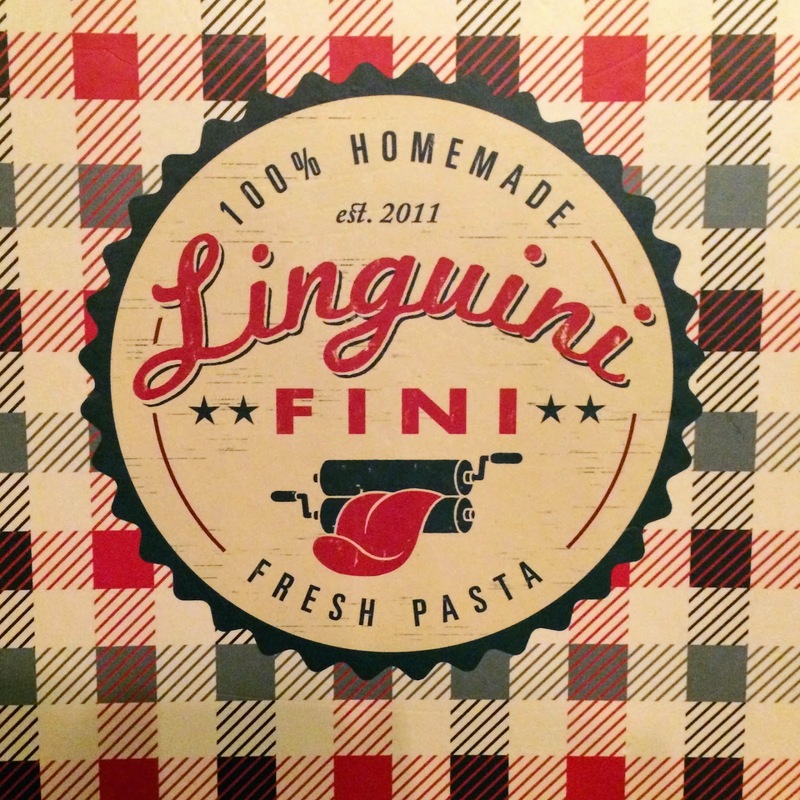 Linguini Fini is located at 3rd Floor, Fashion Hall, SM Megamall, Mandaluyong City.